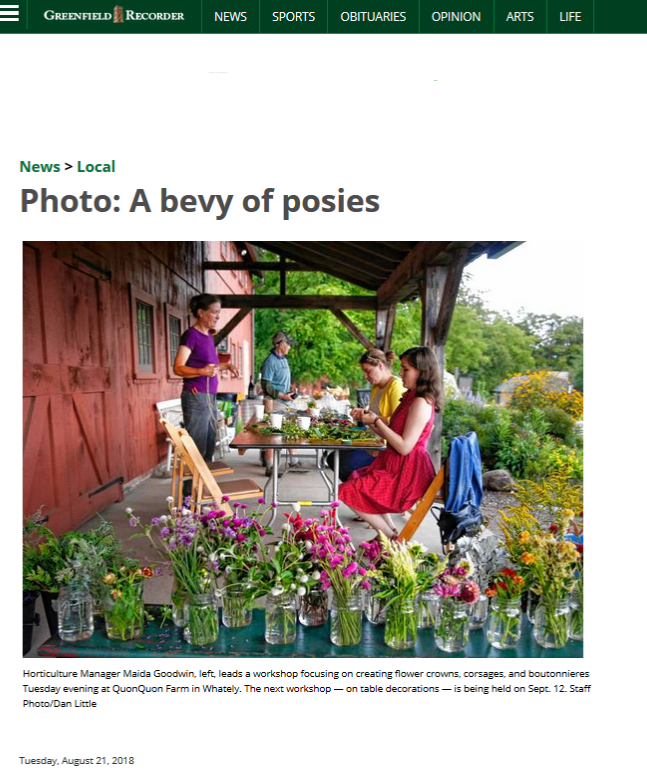 Horticulture Manager Maida Goodwin, left, leads a workshop focusing on creating flower crowns, corsages, and boutonnieres Tuesday evening at Quonquont Farm in Whately. The next workshop–on table decorations–is being held September 12. Staff Photo/Dan Little.